Top Notch Lodge has it all! You will have your dream vacation when you stay in this cabin. Whether you’re looking to relax and spend quality time with your group, or you’re looking to have days’ worth of fun, this is a great choice for a place to stay. 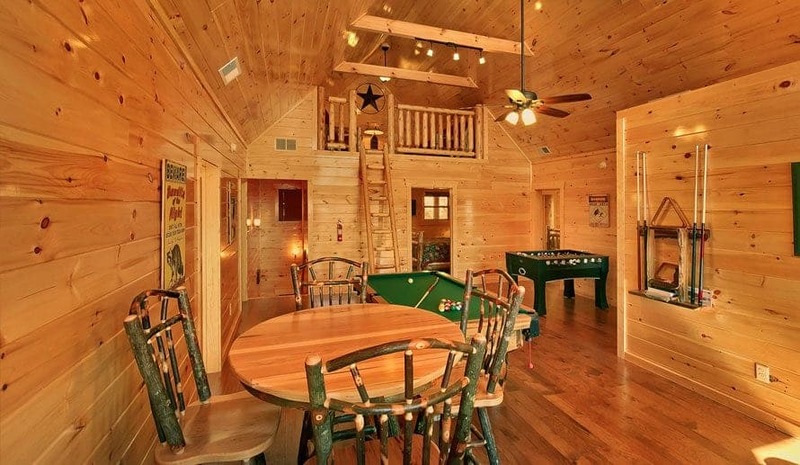 This cabin has 3 levels, with 2 bedrooms on each level.On the main level, you’ll have a furnished kitchen with everything you need to cook and share a meal together, as well as a living room area with plenty of spots for everyone to sit and watch TV. Upstairs, there is an open area that’s perfect for curling up with a good book, and on the lower level you’ll find all the fun! Enjoy a multicade game with 60 of your favorite classic arcade games, a pool table and an air hockey table. There is even a theater room complete with your own popcorn machine! But that’s not all — lace up your shoes and get your game face on because you have your very own indoor basketball court! The fun never ends in Top Notch Lodge. 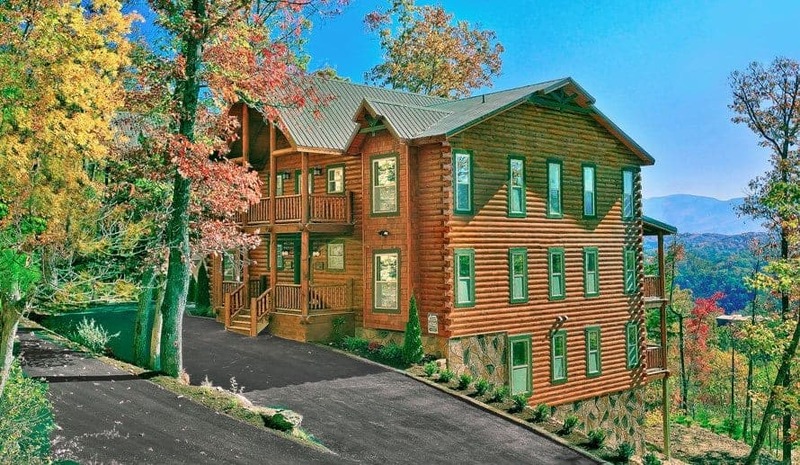 For the groups who want to splash around right inside their cabin, this is the 6 bedroom cabin near Pigeon Forge that you’ll want to choose! You will have all the comforts of home, like a full kitchen, a living room, a dining room and separate bedrooms, as well as plenty of entertainment! The lower level of A Pool With a View is where you’ll be spending most of your time. There is an entertainment room where you can challenge each other to a pool tournament, or try your hand at the multicade video game with all your favorite arcade games from the 80s! 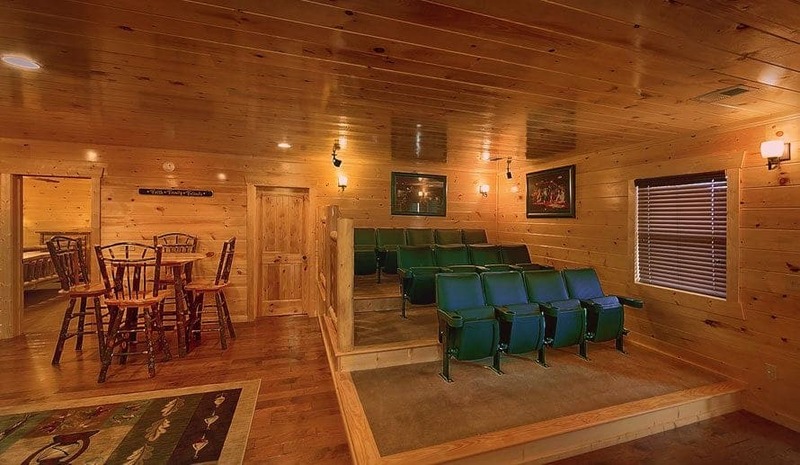 There is also a theater room so you can all gather together to watch a movie on the big screen, and of course, the indoor pool. Your group can have your very own pool party right inside your cabin! After your swim, head out to the covered porch to enjoy the view and soak in the bubbling hot tub. 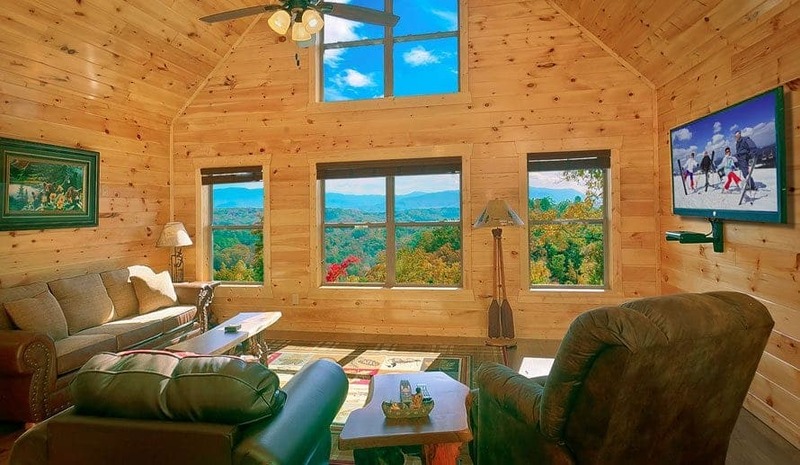 The luxurious Rustic Retreat Lodge captures the essence of the Great Smoky Mountains with tasteful cabin decor and wide open spaces. 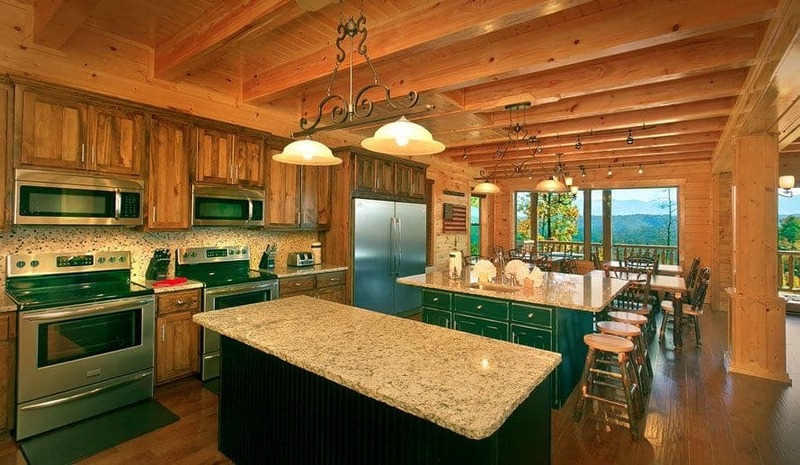 You and your group will have everything you need and more for your dream vacation in Pigeon Forge. You will be just minutes away from all the exciting things to do in Pigeon Forge and Gatlinburg, so it’s easy to enjoy all the best that the area has to offer. Your group also has access to all the amenities at the resort, like a cabin-shaped outdoor swimming pool, walking trails, a fire pit and more. After spending the day outside, head back to your cabin for some friendly competition playing pool or arcade games! 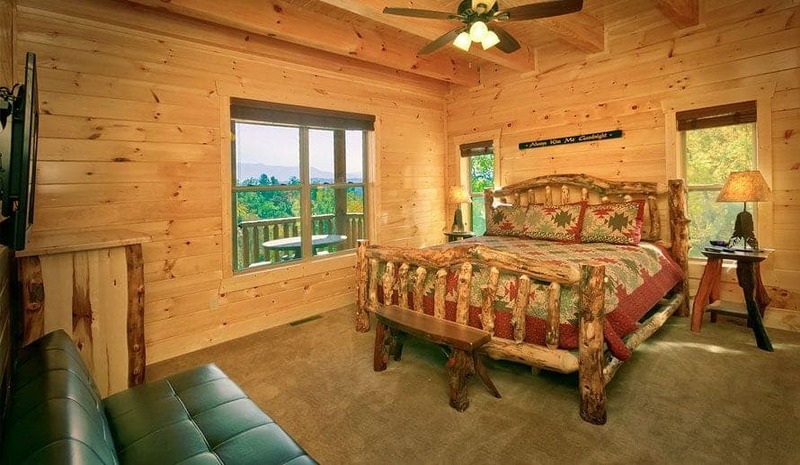 Additional amenities in the Rustic Retreat Lodge include a private hot tub on a screened-in porch, gorgeous mountain views, wireless internet access and more. We have everything you need for the perfect group getaway. 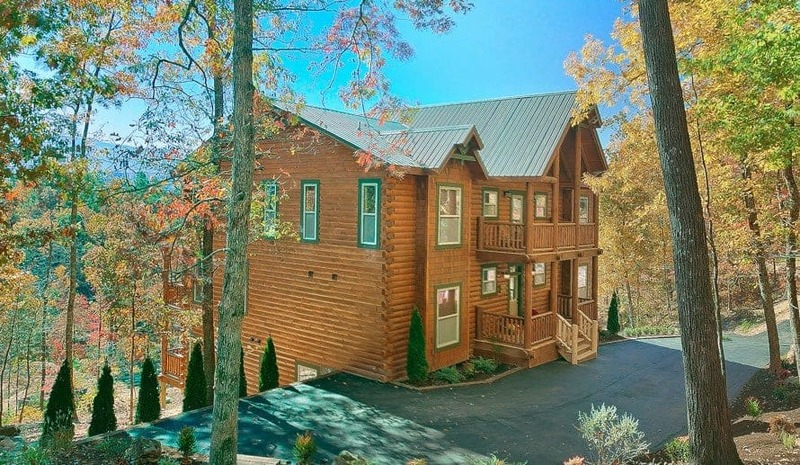 Browse all of our 6 bedroom cabins near Pigeon Forge and start planning your vacation!